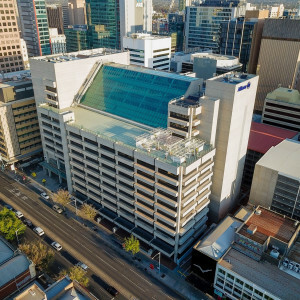 44 Waymouth Street, Adelaide was designed by renowned architect Woods Bagot and is constructed over 13 levels including ground floor, mezzanine and a further eleven upper levels of office accommodation. A recent building transformation is complete with upgrade works including the refurbishment of the building’s entrance foyer including new architecturally designed feature lighting, flooring and wall finishes. Improvements to the lift car interiors and refurbishment of the male and female bathrooms. The refurbishment of tenancy floors including the lift lobbies, upgraded lighting and ceilings, new carpet and paint throughout. A substantial development of the external area including new seating areas, feature wall artwork and an activated laneway with a new small bar in operation. Improvements to the building’s mechanical services, fire services and a new Building Management System (BMS). Typical floors are approximately 590 square metres with regular and efficient floor plates. The building benefits from excellent natural light and views with extensive window glazing on three sides. 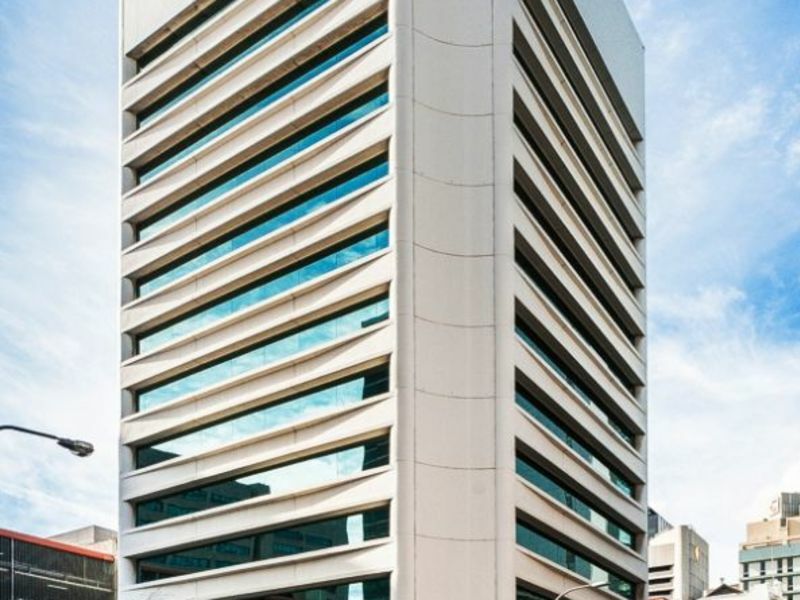 Contiguous whole floors are available to lease and floor areas can be sub-divided to suit. The building owner will provide a tenancy test fit plan to suit your operational requirements and will build the new tailored fitout including the provision of workstations and loose furniture (subject to lease terms). 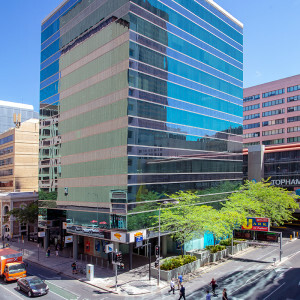 44 Waymouth is located in the CBD Core, on the corner of Waymouth Street and Topham Mall. The Waymouth Street precinct has undergone a significant repositioning in recent years with some of the best amenity in the city including well regarded restaurants and cafés such as Press, Melt, Proof, The Gallery, Georges and Rigonis which are all located within easy walking distance. 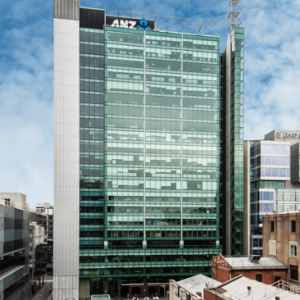 The building has recently received a 2 star NABERS Energy Rating. Tenancies from 120sqm will be considered. For further details or to arrange an inspection please contact the agent. The building is immediately adjacent the Topham Mall public car park which provides short and long-term parking options.